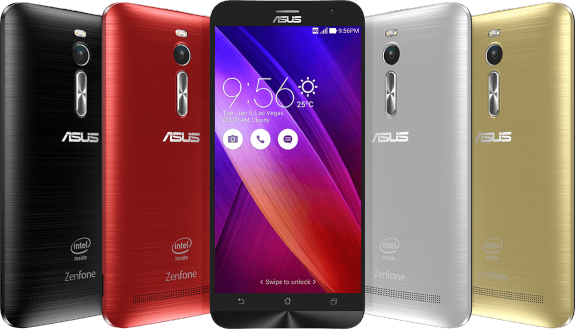 Asus Zenfone 2 was recently announced at CES in the beginning of January this year as a 5.5-inch phablet running Android 5.0 Lollipop powered with either an Intel Atom Z3580 or Z3560 quad-core processor and 4GB or 2GB of RAM at a budget price. But now as per some fresh reports from Focus Taiwan, it appears that ASUS wish to introduce new variants of Zenfone 2 to be powered by both Qualcomm and MediaTek chipsets instead of Intel Atoms Processors. As per the report, Qualcomm-based lower-priced ASUS ZenFone 2 will be released in the second quarter of this year targeted at mainstream china and Taiwan. MediaTek chipsets based ASUS Zenfone 2 will be released for markets such as India where 4G LTE is yet to expand to major cities and only 3G is available in most cities. These are expected to be released in second half of 2015 as a direct successor to the Intel-based variant. The latest roadmap shows that ZenFone 2 will be released next month in Hong Kong, Taiwan, Singapore, China and France followed by US, Italy, Indonesia, Malaysia, Thailand and Vietnam in April. It will reach Japan in April or May and to Brazil in June.